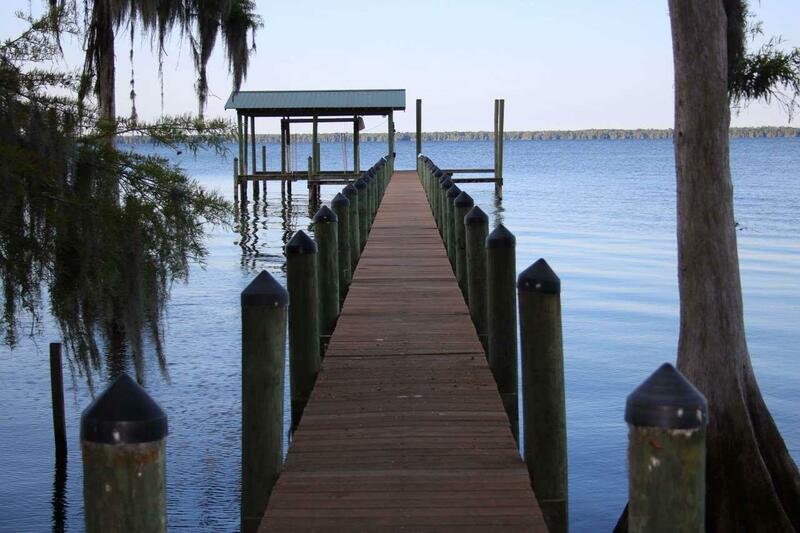 LAKE FRONT W/DOCK ON 3RD LARGEST LAKE IN FL!! Lake also attaches to St Johns River by Dunns Creek. Perfect for Weekend getaway or winter retirees! 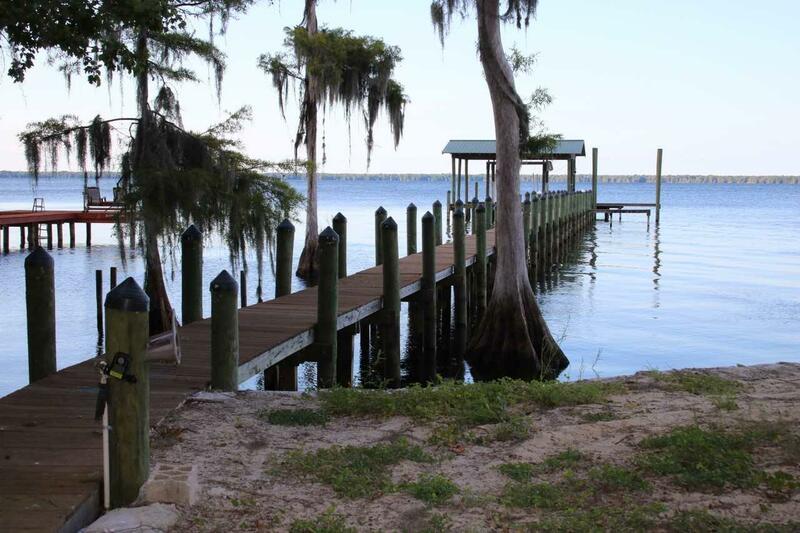 2/2 on over an acre with a 300ft dock and 20ft boat house and lift. Dock rebuilt in 2006, extra pole at end of dock already permitted for more covered area. 1986 MH with effect year of 1999. Remodeled in 2016 new toilets & flooring. Stove, washer/dryer only 2yr old. New Deck installed 2013. AC replaced 6/1/2017. Property zoned for 2 homes. Just a short trip from Jax and you have rural peaceful little town on the 3rd largest lake in Florida. 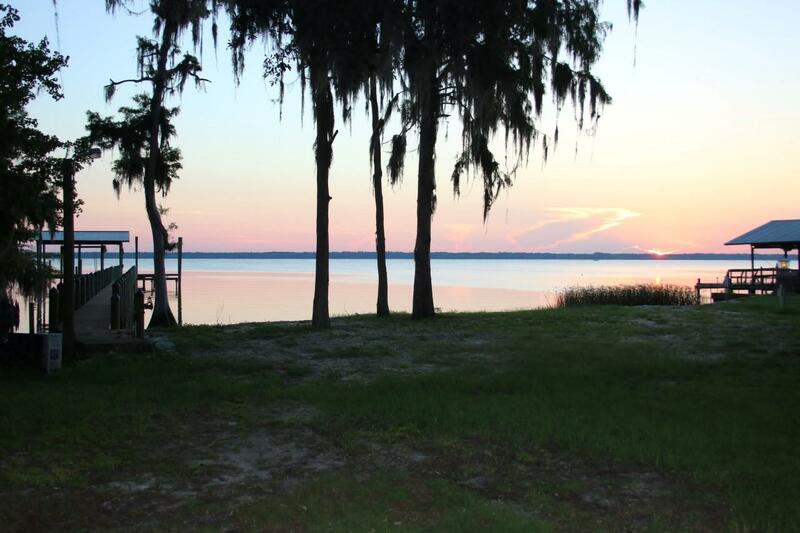 Beautiful sunrises to start your fishing trip, huge lake for water skiing, fishing on during the day or take a boat trip to the St Johns River. 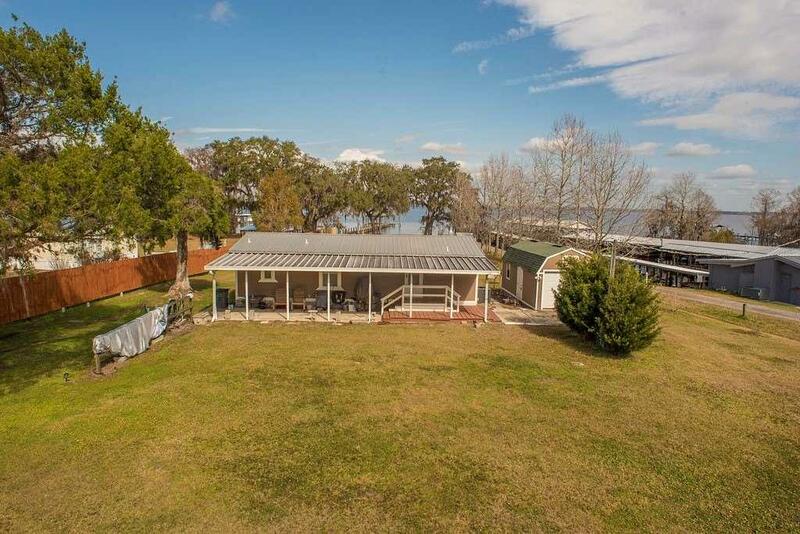 Covered porch on the front, deck on the back, 1 car garage, storage shed, fruit trees, bulk headed, dock with boathouse power and water. Visit and you may never want to leave! !